Last weekend, Respawn Entertainment held an open technical test for the multiplayer shooter Titanfall 2 on the Xbox One and Playstation 4. I enjoyed my own time with the game but other players were a bit more concerned. Now, Respawn Entertainment is responding to critiques and discussing new changes coming to the anticipated sequel. Major community feedback, including animated discussion here at Kotaku, shows that many players of the tech test were underwhelmed by what they experienced. In particular, players of the original game voiced dissatisfaction with key changes that altered game’s pace in relation to the original. 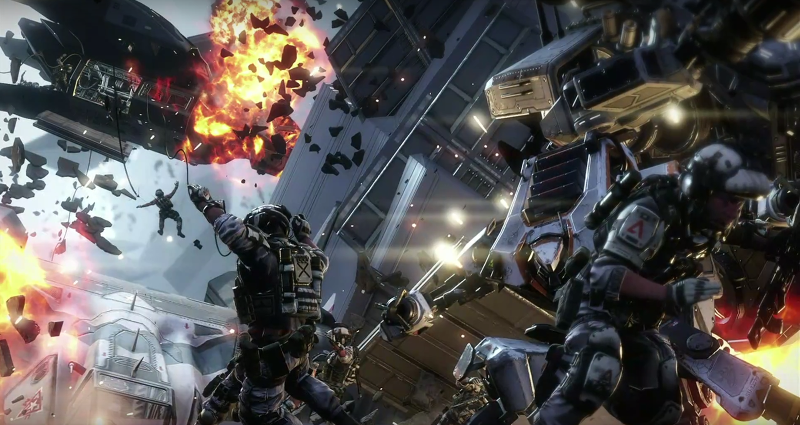 A major change from the original Titanfall came in just how often players were able to leap into their giant robots. The original game used a timer based systems that would slowly build and give players access to their mechs. Titanfall 2's tech test boasted a kill based system that slowly built as players defeated enemies. Combined with rather large maps that made it hard to find opponents, this meant that players did not get to use their Titans as often as the original. Luckily, it seems the folks at Respawn Entertainment heard that particular concern. The kill based system is being tweaked to also allow players’ Titan gauge to fill some over time. “We observed the problem that players can try to play the objective but fail, resulting in slower than intended Titan acquisition,” Respawn explained in their statement. In addition to this change, players will enjoy an increased mobility on ground and in their Titans. This will increase the pace of play even further, offering players a lot more options for navigating maps expediently. Titan’s will recharge their dashes faster and things like wall running and air speed are seeing unspecified tweaks. Players who had concerns about Titanfall 2's map design are in for a treat as well. While there will be open maps, such as the Homestead map featured last weekend, Respawn stressed there was more to see. This change will also be combined with an alteration to how long enemies are highlighted when detected. The long highlights made it harder to sneak around and get the drop on opponents. While the highlight is not completely going away, it will not be as noticeable at long distances. Kotaku has reached out the Respawn for further questions but has not received a response at this time. Hopefully, these changes will please players who didn’t quite exactly get what they expected.